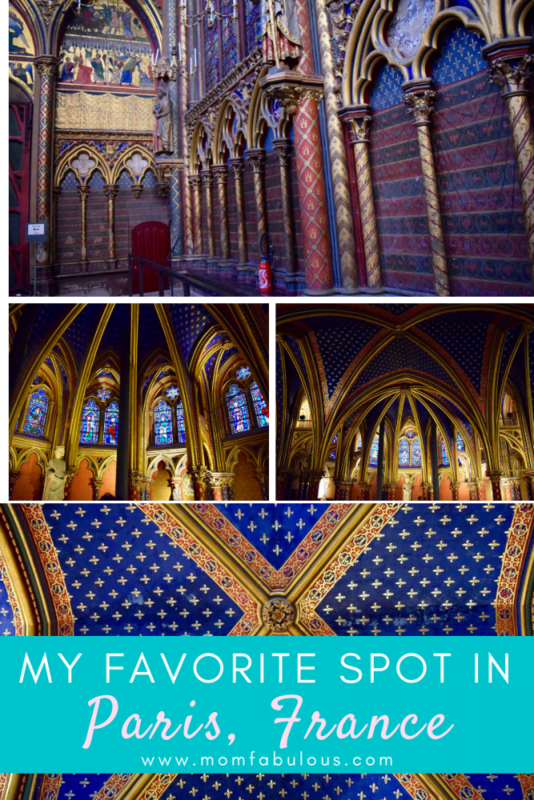 While Notre-Dame is a must-see cathedral in Paris, I found Sainte-Chapelle to be even more visually stunning and memorable. 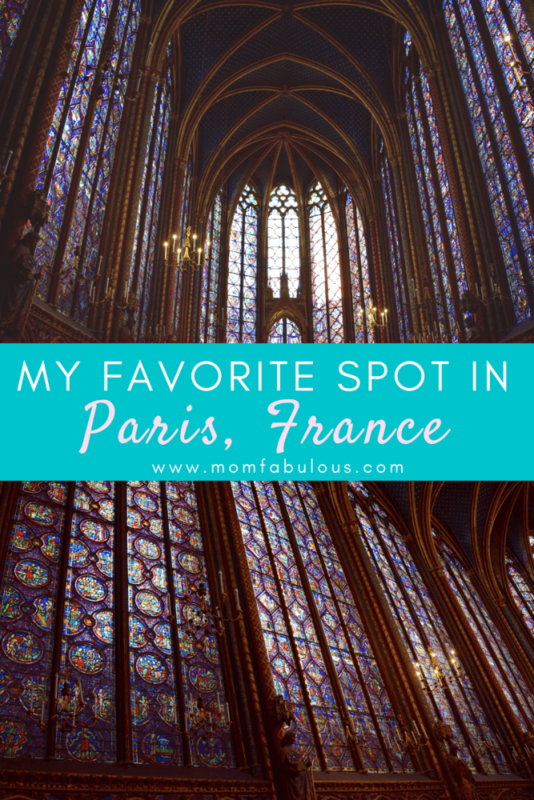 In fact, if I had to recommend just one church to visit in Paris, it would be Sainte-Chapelle! Sainte-Chapelle was built for one purpose: to house the relics of Christ. King Louis IX had this constructed beside the Palais de la Cité between 1242 and 1248. Inside he kept the Crown of Thorns. At this point, Paris became known as the “New Jerusalem” and the capital of Christianity in Europe. The lower chapel, quite stunning with murals, was only used by the King’s staff. This area actually houses the oldest surviving wall mural in France, the Annunciation, dating to around 1242 (when the chapel was built). 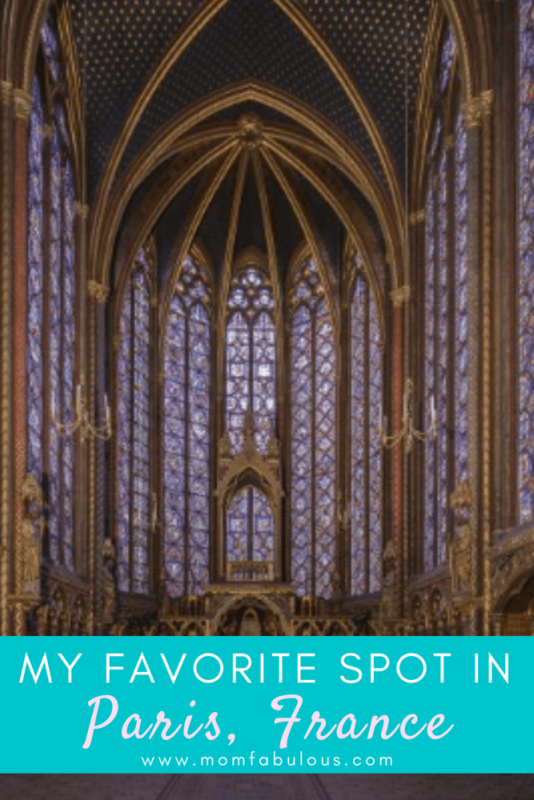 The upper sanctuary is what makes Sainte-Chapelle iconic. The vivid stained glass scenes are captivating! It contains a marvelous 1,113 scenes among 15 stained glass panels. 14 of them visually depict passages of the bible from Genesis through Christ’s resurrection, and the large circular panel in the back of the room reveal Christ’s return. This area was only accessible by the King and his family and close friends. During the French Revolution, Sainte-Chapelle and it’s adjoining Palace buildings were seen as a symbol of royalty. Therefore, it was heavily damaged by those rebelling against divine right and royal status. Thankfully none of the stained glass was damaged. By the mid-1800s, restoration work had begun on the cathedral. It cost more for King Louis IX to purchase the Crown of Thorns in 1239 than it did to construct Sainte-Chapelle. The section that show Jesus’s crucifixion, death and resurrection is read from the bottom row upwards, and by zig-zagging like a snake (left to right on the bottom row, then right to left on the second row, then left to right on the third row, etc.) This pattern is called boustrophedon. The statues of Saint Peter and 5 other apostles are original works, dating from the 13th century. The bear faces of Parisians from 1240-1260. The Shrine (the altar) used to bear elements from Christ’s cross and Crown of Thorns… but most of them were melted during the French Revolution. The remaining fragments are carefully housed in the Notre Dame Cathedral. The lower chapel contains the oldest wall mural in France, dating from 1242. It’s impossible to overstate how beautiful the stained glass looks! These pictures simply don’t do it justice! The colors, the scenes, the artistry behind the creation of a chapel gilded with stained glass, the imagery to portray the entire bible…it’s immaculate! If possible, visit on a sunny day to fully capture the essence of the artistic stained glass scenes. The bright light shining through colorful glass may or may not be considered as eye candy. Bonus if you can review your bible stories before visiting. Try to spot various stories that you’re familiar with. Have kids? Read a children’s bible with them ahead of time. Then see if they can spot Daniel and the Lion’s Den, Jonah and the Whale, Jesus as a baby, or King Solomon in all his splendor and riches. What little wall space doesn’t have stained glass is still very ornate; so don’t fly through the lower level. And stretch you neck a bit by looking at the ceiling – it’s also painted and has fantastic designs to study. This place is flooded with history from the 13th century. I’m not sure about you, but I haven’t seen many things that are 700 years old…and still standing…and still beautiful! Sainte-Chapelle crafts a story worth hearing. The bible is a captivating read of a God who seeks His people with un-abandoned love. Of a God who came from heaven to live on earth; he empathizes with man and lived a perfect life. The scenes show the realities of history and the hope of a future glory, when creation is restored to it’s original perfection. The story draws you in. The scenes paint a complete picture of creation through completion. The colors scream to be viewed. The artistry demands adoration. And your jaw will magically be weighted down. But enough of the reasons why I love Sainte-Chapelle. Have you been there? What do you think about this stunning cathedral? Do you plan to visit someday? If so, why?